Things are blowing up again at Mastermind Academy. The headmaster’s hot on Isabelle's tail, investigating her mysterious disappearances. She’s trying to please a friend by staying away from another. 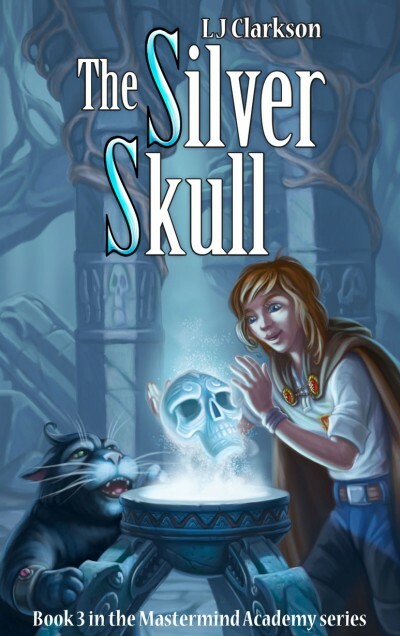 Then Lemuria kidnaps her family, and will kill them, unless she gives him a magical crystal skull. Time is a ticking so she must team up with her new friend to help track it down. Poor Boldrick had the day from hell. Ridiculed and attacked with a broom, he decides to find a cure to become human again. Nothing he tries works, and somehow he’s inherited a spirit from a shaman. In exchange for delivering the spirit’s messages, Boldrick receives a gibberish clue for his quest. But unraveling each clue leads him deeper into danger, which he doesn't think he can get out of.